of different designs for you to try. you also get your own disk & plate to cut out. It covers everything from yarns or threads to use. How to arrange the threads on the disk or plate. How to braid with beads and how to finish off. There are an amazing mix of designs to make. Each looks more amazing than the last. Not only that you are given examples of how you can use the braids. I must admit that there were lots more ideas than I had throught of. you are going to find them so much easier to make. someone who wants to expand their skills. 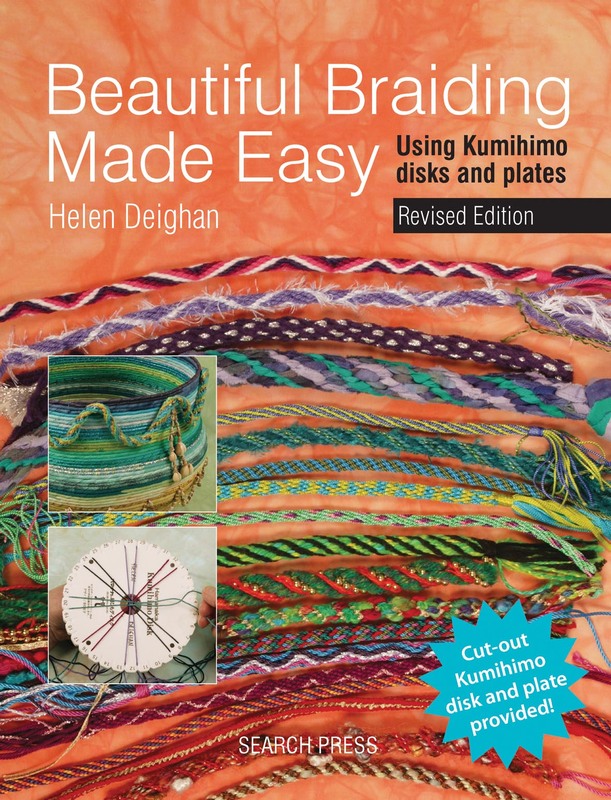 You learn how to make bracelets, necklaces, bag handles and much much more! to achieve the beautiful designs. This book would make a fantastic gift for Christmas. get started on Christmas day. for friends and family for Christmas. It's a fantastic craft to have to work with other crafts.